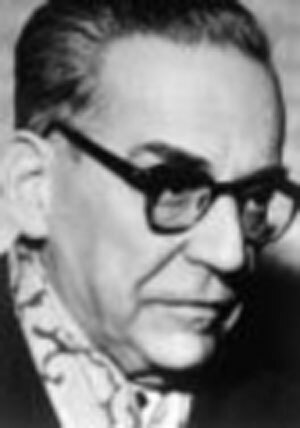 Blunt in its nationalist ideology is the "Draft on Albania" written in 1939 by the well-known Bosnian Serb short-story writer and novelist Ivo Andric (1892-1975). Andric was educated in Zagreb, Graz and Vienna. After World War I, he joined the diplomatic service and served as Yugoslav ambassador to Berlin in 1940. The best known of his many prose works is: "The Bridge on the Drina," London 1959. In 1961, he was awarded the Nobel Prize for Literature. According to a secret appendix to the treaty of alliance between Bulgaria and Serbia, dated 29 February 1912, Serbia was granted a right to the territories to the north and west of the Shar mountains previously held by Turkey. In connection with this provision, Serbian troops, in order to provide their country with an access to the sea, advanced on Lezha on 15 November 1912 and gradually took possession of the whole of northern Albania right down to Tirana and Durrës. On 25 November 1912, Pašic published a statement in the London Times indicating that Serbia claimed Durrës with a considerable hinterland. On 20 December 1912, however, the Conference of Ambassadors in London resolved to set up an autonomous Albania, giving Serbia only the right to a trading outlet on the Adriatic Sea. On 20 March 1913, the same conference resolved to cede Shkodra to Albania. Montenegro refused to accept the decision of the Great Powers and was supported in this regard by Serbia, which sent troops to reinforce the siege of Shkodra. The Great Powers countered (on 21 March) with a naval demonstration, only Russia abstaining. Austro-Hungarian, English, French, German and Italian destroyers gathered in the vicinity of Bari and forced Serbian troops to retreat from their positions in the Shkodra region. On 12 April, the Great Powers announced a blockade of the Montenegrin coastline. The Montenegrin government, however, persisted in its siege of Shkodra, which finally capitulated on 20 April. King Nikolla of Montenegro was, nonetheless, force to yield, and on 4 May, in a telegramme sent to Sir Edward Grey, he ceded Shkodra to the Great Powers. The international occupation of Shkodra was to last from 5 May 1913 to the beginning of the World War. Though under pressure from the Great Powers, primarily from Austria, Serbia did not give up hope, despite the fact that it had been forced to retreat from the Adriatic and northern Albania. The spheres of influence of Greece and Serbia in the newly established autonomous Albania were laid down in a declaration which formed a secret appendix to the treaty of alliance, dated 19 May 1913, between Greece and Serbia. The territory north of the Seman river from the sea up to the mouth of the Devoll river, and north of the Devoll river up to Mount Komjan was to be within the Serbian sphere of influence. The regions of Albania south of this line were to belong to the Greek sphere of influence. In case of riots in Albania, the two countries were to reach an agreement on the position they would adopt. These are the maximum demands which we presented to Albania in a written document. 1. The note to Article 5 states: "The following Adriatic territory shall be assigned by the four Allied Powers to Croatia, Serbia and Montenegro:... And, in the Lower Adriatic (in the region interesting Serbia and Montenegro) the whole coast from Cape Planka as far as the River Drin, with the important harbours of Spalato, Ragusa, Cattaro, Antivari, Dulcigno and St. Jean de Medua... The port of Durazzo to be assigned to the independent Moslem State of Albania." 2. Article 6 reads as follows: "Italy shall receive full sovereignty over Valona, the island of Saseno and surrounding territory of sufficient extent to assure defence of these points (from the VoVussa to the north and east, approximately to the northern boundary of the district of Chimara on the south)." 3. Article 7 reads as follows:... "and if the central portion of Albania is reserved for the establishment of a small autonomous neutralised State, Italy shall not oppose the division of Northern and Southern Albania between Montenegro, Serbia and Greece, should France, Great Britain and Russia so desire... Italy shall be charged with the representation of the State of Albania in its relations with foreign Powers." As early as 1915, therefore, the Great Powers had adopted the principle of a partition of Albania and conceded that Italy, Serbia and Greece had vested interests in Albania. The two Balkan countries were granted the right to revise borders, whereas Italy was granted Vlora as well as a protectorate over rump Albania. At the peace conference, allied forces (France, Great Britain and the United States of America) initially proposed for Albania the southern and eastern borders which had been established at the London Conference of 1913. The allied forces recognized Italy's full sovereignty over Vlora and the requisite hinterland, giving Italy, in addition, a mandate to administer the independent state of Albania under the control of the League of Nations (Memorandum of 9 December 1919). (Against the mandate of Italy. In favour of an independent Albania. Arguments for the revision of borders and for our acquisition of Shkodra and northern Albania). In our reply of 8 January 1920, we rejected the proposal for giving Italy a mandate over Albania, pointing out that this would be a repeat of the Bosnia-Hercegovina issue. "This resolution," we said in our reply, "would create an offensive border in Italy's favour against our country which, for its part, would be deprived of protection. This would mean an offensive advantage to one side and a strategic disadvantage to the other." For economic and strategic reasons, we asked for a revision of the border in our favour (the middle of the Drin and Buna rivers, as well as Kelmendi and Kastrati), as foreseen at the London Conference of 1913. In addition to this revision, our delegation declared that the best solution for Albania would be the establishment of an independent state within the borders of 1913 and of an autonomous administration. If this solution were not to be adopted, or if the southern part of Albania were to belong to other countries, our delegation would asked for the northern part of Albania down to the Drin river. "Our country has ancient claims on these areas, as our memorandum states. Shkodra is the one-time capital of Serbian rulers. Our nation has shed much blood for Shkodra, in particular during the 1913 war which cost Serbia the lives of several thousand soldiers and cost Montenegro one-third of its army. In order to comply with the wish of the Great Powers, Serbian and Montenegrin troops withdrew from Shkodra and the northern part of Albania in 1913. Austria had mobilized its forces and threatened war. Shkodra could have belonged to Montenegro, had Montenegro agreed to cede Lovcen to Austria or have it neutralized. But, Montenegro refused to cede this position of strategic importance to Austria." "The Drin valley, together with Shkodra, forms a geographical and economic entity with Montenegro and borderland areas of Serbia. For central Serbia and for Montenegro, the Drin valley is the only direct and indeed the shortest natural outlet to the Adriatic. The vital Danube-Adriatic railway should pass through the Drin valley. The Conference of Ambassadors, held in London in 1913, recognized Serbia's right of access to the sea." "Shkodra is also intimately linked to the Buna river which provides Montenegrin trade with a natural outlet to the sea. From as early as the Treaty of Berlin, Montenegro has enjoyed the right of free navigation down the Buna river. Most of Lake Shkodra belongs to Montenegro. Due to Turkish negligence, the best Montenegrin lands are still flooded by the waters of Lake Shkodra. Our country is, therefore, most interested in regulating the Buna and Drin rivers, not only for navigation down the Buna, but also because 12,000 to 20,000 hectares of very fertile land could thereby be drained and an equal area could be ameliorated. Two-thirds of this land belongs to Montenegro." 1. Italy requests of the League of Nations a mandate to administer the independent state of Albania. 2. The northern and eastern borders of Albania will be those drawn at the Conference of London. The southern border will be a matter of further examination. 3. Italy will be granted sovereignty over the city of Vlora, with enough hinterland for its protection and economic development. Proposing a comprehensive solution to the Adriatic question, Clemenceau, who was chairing the Peace Conference, said to Pašic and Trumbic on 13 January 1920, with regard to the cession of Rijeka to Italy: "The SHS state (i. e. the Kingdom of the Serbs, Croats and Slovenes) will thus ascend to the zenith of its power, even without the acquisition of Shkodra, the Drin and San Giovanni di Medua (Shëngjin)." We did not agree to this, in view of the fact that Italy retained Vlora and got its mandate over Albania. In our final reply at the Peace Conference, on 14 January 1920, we stated that we still held the view that the best solution would be that the administration of Albania, within the borders drawn in 1913, be conferred to a local, autonomous government with no authority being held over it by any foreign power. If this solution, however, was not accepted and parts of Albanian territory were to be ceded to other countries, our delegation would then lay claim to part of northern Albania (a map with delineated borders was submitted), for which it promised an autonomous regime. "Given that, because of Italian encroachment and of the support which Italy receives from the Powers, we cannot return to the situation which existed in Albania prior to the evacuation of our army and prior to the regime of Esad Pasha, and given that the Albania we favour will not come to be because the Allies have agreed to cede Vlora and its hinterland to Italy and to give Italy a protectorate over certain parts of Albania, we must, under such circumstances, stake our claims to different and better borders with the part of Albanian territory to come under the Italian protectorate." "The 'minimum' we will accept from the Allies is: the border along the Black Drin river down to the confluence of the White Drin river and from there along the Great Drin river down to the sea." "We should also claim a 'maximum', so that Italy receives as little territory as possible. The maximum of our claims should be: the Mat river to its source, and hence directly eastwards to the Black Drin river. The Mat and Drin rivers would thus constitute our borders with the Italian protectorate." Once the war was over, Italian troops, on the basis of an Allied military resolution, occupied the entire territory of Albania including the northern part which had been accorded to us under the London Agreement. Shkodra alone was under the joint occupation of French and Italian troops. In view of the hostile attitude taken by Italy towards the SHS state (the Kingdom of the Serbs, Croats and Slovenes) at the time, we considered Italy's military occupation of Albania a grave threat to our existence. A bitter struggle was waged between the Italians and us on Albanian territory. The Italians hence raised the issues of Montenegro and Macedonia, as well as the idea of a Greater Albania extending right to Kaçaniku / Kacaniku. We took action against them, at times secretly and at times overtly, by bribing Albanian leaders and by countering with the idea of an 'independent Albania' and of the 'Balkans for the Balkan peoples'. The dissatisfaction of the Albanian population, which we supported, compelled the Italians to pull their troops out of inland Albania at the beginning of 1920 and to concentrate them in the vicinity of Valona (Vlora), from which region they were forced to withdraw in June of that year after an accord had been reached with the Tirana government for the evacuation of all Albanian territory, including the island of Sazan. The evacuation of Albania was accomplished as a result of organized resistance on the part of the Albanians, though one should not forget the fact that Italy was politically and militarily very weak at the time. Even at the present day, there are Albanians who think they could drive the Italians out of Albania whenever they liked. This self-confidence will prove fatal to them because they do not realize that the fascist regime in Italy is not the same as the Italy of 1920 under the parliamentary governments of Nitti, Giolitti and Facto. As the evacuation of Italian troops from Albania clarified the situation on the ground, the Conference of Ambassadors was in a position by November 1921 to take a decision on the recognition of Albania as an independent and sovereign state. In contrast to earlier promises, i. e. for Vlora and for a mandate over Albania, the Great Powers recognized only Italy's special interest in the maintenance of Albanian independence. Albania became a member of the League of Nations, hoping that this would help ensure and sustain its independence. Before the Conference of Ambassadors met, we endeavoured once again, though in vain, to have the borders revised and moved down towards Shkodra and the Drin river, citing historical reasons for Shkodra and economic and communications reasons for the Drin. The French expert at the Conference, Larochue, consoled us with these words: "The royal government made a mistake by not adopting the French proposal at the time for the partition of Albania. Pašic had agreed to the idea, but the government in Belgrade rejected it." In order to get the Italians out of Vlora, we had to abandon Shkodra and the border extending down to the Drin river. Since we had permanently endorsed the indivisibility of Albanian territory, as set forth in 1913, and Albanian independence, it could be assumed that the solution proposed by the Conference of Ambassadors was satisfactory to us. This has not been the case, however. We have been running into difficulties in our relations with Albania and in our relations with Italy over Albania, even though Albania has been proclaimed an independent country and has been granted membership in the League of Nations. Since the Conference of Ambassadors had taken a decision on the borders of Albania and on the conditions for its independence, we signed a co-operation agreement with the leaders of Mirdita in the middle of 1921. This agreement envisaged the setting up of an independent Mirdita republic which would be protected by the armed forces of the SHS state (the Kingdom of the Serbs, Croats and Slovenes) and whose interests abroad would be represented by the Belgrade government. The Tirana government suppressed this movement and we were subsequently accused and condemned before the League of Nations. In spirit, the Rome pact of January 1924 stipulated that both Rome and Belgrade respect the independence of Albania and the principle of non-interference in the country's internal affairs, and that they exchange information about developments in Albania. This did not, however, hinder the Italian government from backing Fan Noli in June 1924 in his rebellion against Ahmet Zogu, nor did it hinder our government from making it possible for Ahmet Zogu to launch an attack on Albania in December of the same year from our territory, and to seize power. Neither Rome nor Belgrade could resist intrigues and appeals from their Albanian 'friends' who requested support to exercise or assume power, promising loyalty and co-operation in return, and who then changed their minds at the first opportunity. Giving instructions to our representatives in Albania, the late Pašic used to say to them: "We want an independent, but a weak and unstable Albania." Time has shown that such a wish was impossible. A weak and unstable Albania had to ask for support and protection wherever it could find it. A regime which was threatened by Italy would turn to us, whereas a regime which we wanted to overthrow would turn to Italy for protection. In 1926, a weak and unstable Albania requested the protection and support of Italy. Having received initial guarantees for his regime, Ahmet Zogu later, in 1927, consented to the conclusion of a twenty-year military alliance and received hundreds of millions of lire for public works. Both economically and financially, he thoroughly subordinated Albania to Italy and took on many Italian advisors. A situation was thus created which much resembled the kind of protectorate we had opposed at the Peace Conference. The greatest threat to us from Albania in recent years has been the military buildup, as well as fortifications and irredentist activities. We saw a threat in all Italian activities and in the 'offensive border' which we had opposed in Paris when the Allies proposed that Italy be granted a mandate over Albania. It is of interest to note here that we protested and opposed the Italian penetration of Albania and the Balkans, but none of the other Balkan countries supported us on this issue. The two Mediterranean naval powers, France and England, did not oppose the blockade of the Adriatic Sea. Indeed, Sir Austen Chamberlain consented to the Tirana pact at his meeting with Mussolini in Leghorn (Livorno) in 1926. French representatives in Tirana constantly advised King Zogu to avoid conflict with the Italians. As long as they maintain friendly relations towards one another, Italy and Yugoslavia can agree on Albania, based on the following: Italy has a vested interest in Vlora and we should not threaten this part of the Albanian coast. We should acknowledge and respect Italy's interest. It is in Yugoslavia's vital interest that we not be threatened on our own borders in southern Serbia, both in Kosovo (inhabited by Albanians) and in the Shkodra / Montenegro region. This was no doubt taken into consideration in the secret protocol supplementing the friendship pact, which also envisaged a stop to further fortifications in the Librazhd and Milot regions. As far as financial and economic interests in Albania are concerned, we do not have, nor do we intend to invest any considerable funds there. Our side thus offers no competition or objections to the Italians, provided of course that they comply with the second secret obligation towards us which they undertook two years ago, i. e. that they seek no special privileges in their political, economic and financial activities which would directly or indirectly compromise the independence of the Albanian state. The friendship pact of 25 March 1937 has thus created a tolerable 'modus vivendi' for us and for Italy on Albanian soil, where in the past we have so often been involved in conflicts and mutual suspicions. A quite different question is whether this truce in Albania will pass the test of time in view of the much more tense and complex situation in the Mediterranean and in the Balkans. The independence of a country is a concept which constantly changes in meaning for its neighbours. This independence can be either complete or reduced, depending on circumstances. As to present-day Albania, one cannot say that its domestic and foreign policies are independent of Italy. Yet, Albania is considered an independent state by the international community. According to international law, the Albanian coastline in not Italian, but rather under the sovereignty of that Balkan country. Italy has not yet encroached upon the Balkans. Italy possesses sovereign territory in Zadar, but this does not offer any possibility for further expansion. Italy also exerts influence in Albania, but it has no freedom of action there compared to that in its own country. The Albanians are still showing opposition to Italian penetration by putting obstacles in its way and slowing it down. The traditional policy of Serbia has been 'The Balkans for the Balkan peoples'. This principle was applied earlier in the struggle against the Ottoman Empire and against the Austro-Hungarian monarchy. Yugoslavia made efficient use of it in its struggle against the provisions of the London Agreement which allowed Italy to advance into Dalmatia and Albania. This principle, in our view, has always constituted the best guarantee for peace in the Balkans, for co-operation between the Balkan nations and for their unimpeded development. The presence of any of the Great Powers in the Balkans means opening the floodgates to intrigue and invasion. Is it conceivable that Italy, having made itself lord of southern and central Albania, will confine itself to that narrow strip of coastline? We did not believe this would be the case twenty years ago when the Great Powers offered Vlora and its hinterland to Italy. It is even harder to believe it now that Italy is showing much more swagger and bravado in its foreign policy. When a non-Balkan Great Power seizes a part of Balkan territory on which it has no ethnic claims whatsoever, this constitutes a dangerous precedent for us and for all the peoples of the Balkans. Other Great Powers could come up with similar claims from other directions. The case of Italy in Albania is a particular threat to us because the London Agreement first recognized not only Italy's claims to southern Albania, but also to Dalmatia. The revival of the provisions of the London Agreement in one part of the Balkans creates a dangerous precedent for the revival of other provisions, too. In dealing with this issue in a comprehensive manner, it should be stressed that we must avoid an open or covert conflict with Italy at all costs. We must also avoid allowing Italy to occupy all of Albania, which would pose a threat to us in sensitive areas such as the Bay of Kotor and Kosovo. Taking the above into consideration, we regard the partition of Albania as a necessary and inevitable evil and as a great disadvantage to us, but one from which we must nonetheless endeavour to derive as much benefit as possible, i. e. we must take advantage of the lesser of two evils. These compensations are registered in documents which were prepared twenty years ago when the question of a partition of Albania was being discussed. The maximum we set and asked for at that time was the border along the Mat and Black Drin rivers to ensure the strategic security of Montenegro and Kosovo. We would also have to ensure the basins of Lakes Ohrid and Prespa by annexing Pogradec as well as the Slav villages of Mali i Thatë / Golo Brdo and those between Prespa and Korça. Taking possession of Shkodra could, in this case, be of great moral and economic significance. It would enable us to carry out major waterworks activities and to recuperate fertile land needed to feed Montenegro. The presence of northern Albania within the framework of Yugoslavia would facilitate the existence of new communications links between northern and southern Serbia and the Adriatic. After the partition of Albania, Kosovo would lose its attraction as a centre for the Albanian minority which, under the new situation, could be more easily assimilated. We would eventually gain 200,000 to 300,000 Albanians, but these are mostly Catholics whose relations with the Moslem Albanians have never been good. The deportation of Moslem Albanians to Turkey could then be carried out since, under the new circumstances, there would be no major impediment to such a move.